Solberg LI, Parker ED, Foldes SS, Walker PF. Disparities in tobacco cessation medication orders and fills among special populations. Nicotine & Tobacco Research. 2009 December:12(2):144-51. 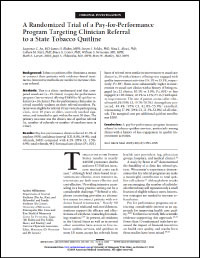 An LC, Bluhm J, Foldes S, Kirch MA, Bernhardt T, Center B, Finstad D, Manley M. Clinical system elements and patient reports of tobacco cessation counseling. J Clinical Outcomes Management. 2008 October;15(10):1-9. Offering the '5 Cs,' a proposal to MCOs to provide effective tobacco control to their members. An LC, Bernhardt TS, Bluhm J, Bland P, Center B, Ahluwalia JS, Foldes SS, Magnan SJ, Manley MW. 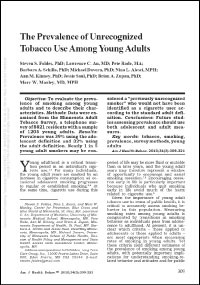 Treatment of tobacco use as a chronic medical condition: primary care physicians’ self-reported practice patterns. Prev Med. 2004 May;38(5):574-85. Manley MW, Griffin T, Foldes SS, Link CC, Sechrist RA. 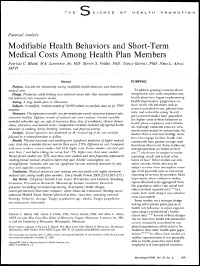 The role of health plans in tobacco control. Annu Rev Public Health. 2003;24:247-66. Epub 2001 Nov 6. Review. Foldes SS, Fischer LR, Kaminsky K. What is an emergency? The judgments of two physicians. Ann Emerg Med. 1994 Apr;23(4):833-40. Review. Foldes SS, Boller MA, Jacobson CC. High frequency users of medical care: from identification to management action plan. (featured paper). in Mary R. Prunchak (ed. 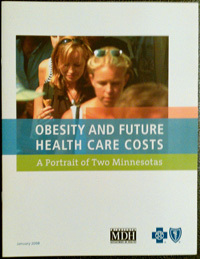 ), New health care systems: HMOs and beyond. Washington, D.C.: Group Health Association of America, 1986. Foldes SS, Czajkowski A. Managed care holds down costs, doesn’t hurt quality. Minneapolis StarTribune (Counterpoint), January 3, 1998. Managed care for selected high frequency, high cost users of Medical Assistance and General Assistance Medical Care services: a report to the Minnesota State Legislature from the Minnesota Department of Human Services, Health Care and Residential Programs. Saint Paul: Minnesota Department of Human Services. January 1989. 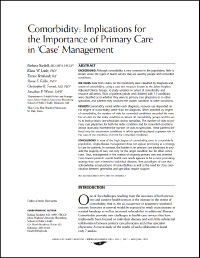 Physician case management: is it right for Minnesota Medical Assistance? A report to the Minnesota State Legislature from the Minnesota Department of Human Services, Health Care and Residential Programs. Saint Paul: Minnesota Department of Human Services. March 1988.